“The Courage Awards & Benefit Dinner is only possible because of the profound commitment of our generous supporters," said WWP CEO Lt. Gen. (Ret.) Mike Linnington. 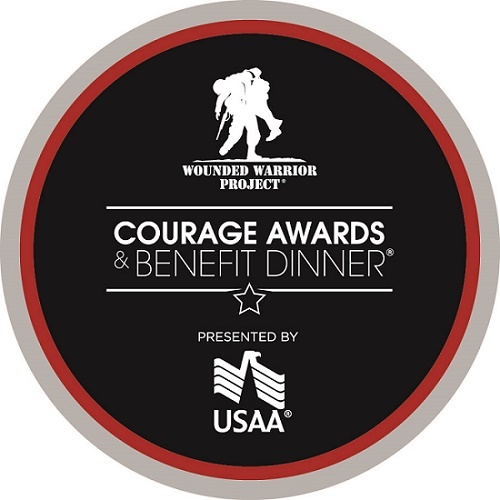 SAN ANTONIO (April 17, 2017) – Wounded Warrior Project® (WWP) announced today that USAA® (United Services Automobile Association) will be the Presenting Sponsor of the 11th annual Courage Awards & Benefit Dinner®. At this gala, WWP’s most passionate supporters will be recognized for their service and dedication to WWP’s mission to honor and empower Wounded Warriors. The event, which will take place on Thursday, June 1, 2017 at the Hilton Midtown in New York City, fuels the critical support necessary for WWP to offer warriors a range of specialized programs and services – all tailored to each veteran’s specific needs – free of charge. The Courage Awards & Benefit Dinner will feature three special awards: a “Service” award honoring a corporate partner who has dedicated time to grassroots efforts in support of WWP; an “Empowerment” award to an individual or company who has dedicated their time to raising awareness for the needs of the wounded; and a “Courage” award to a warrior, family or caregiver who embodies the values of WWP. Throughout the evening, warriors served by WWP will also be honored. To learn more about WWP’s programs and services visit newsroom.woundedwarriorproject.org/. The USAA family of companies provides insurance, banking, investments, retirement products and advice to 12 million current and former members of the U.S. military and their families. For more information about USAA visit usaa.com.